A new Apple handset once again means more NFC rumors. Chinese repair firm GeekBar, via social network Weibo, has posted a rumored wiring schematic of the “iPhone 6” NFC chip. 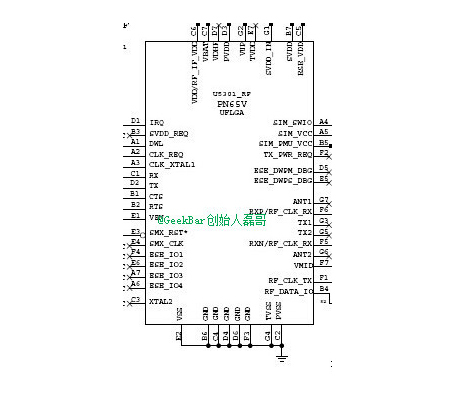 The information shows wiring from a PN65V NFC chip produced by NXP Semiconductors. A similar chip from the same company is used in a number of Android devices. If the “iPhone 6” does indeed have NFC capability, it could possibly tie-in with Apple’s long-rumored mobile payment service. 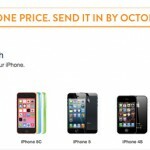 Apple is expected to introduce the handset at a media event on Tuesday, Sept. 9. Along with a faster A8 chip, the handset will have an improved camera, and more. Apple will apparently offer a version of the phone with both a 4.7-inch and 5.5-inch screen. 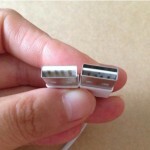 For other recent “iPhone 6” news, see: More evidence emerges that the ‘iPhone 6′ Lightning cable will offer a reversible USB plug, Further leaked photos of battery of 4.7-inch ‘iPhone 6′ indicate 1,810 mAh capacity, and Apple’s 5.5-inch ‘iPhone 6′ may come equipped with a 2,915 mAh battery.